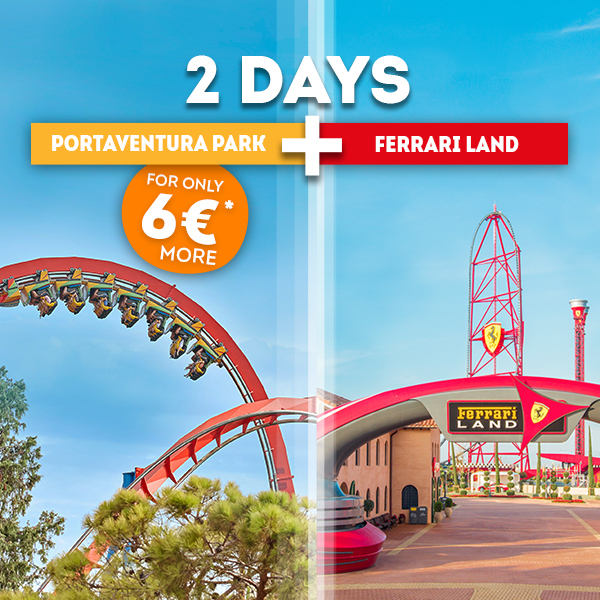 Stay at one of our hotels and get: Tickets to PortAventura Park + 1 day in Ferrari Land + free access to Ferrari Land’s Italian Night on Fridays* in November and December. 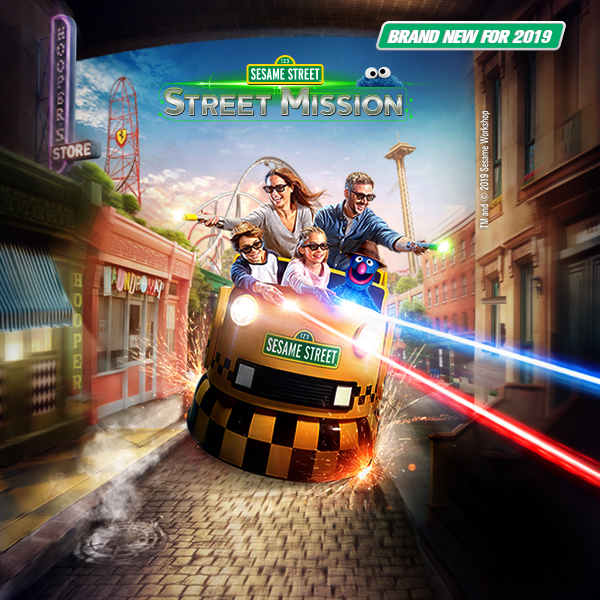 Christmas is the most magical time of the year to visit PortAventura World with your family. 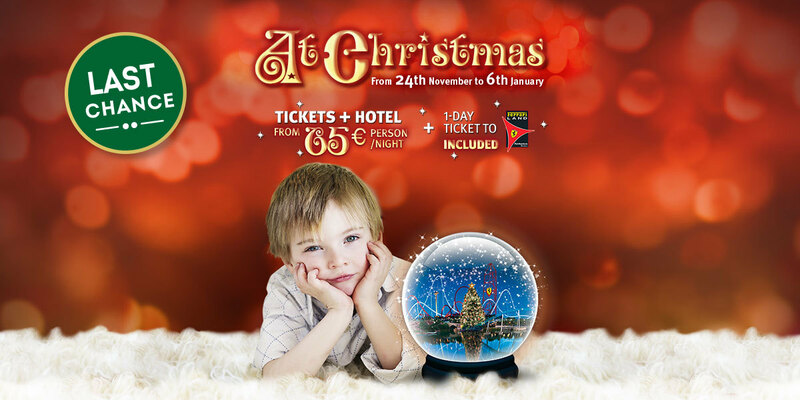 Book your stay at a very special price, from only €65 person/night and spend an incredible Christmas with your family: The best accommodation also includes 1 day in Ferrari Land and tickets to PortAventura Park throughout your stay. 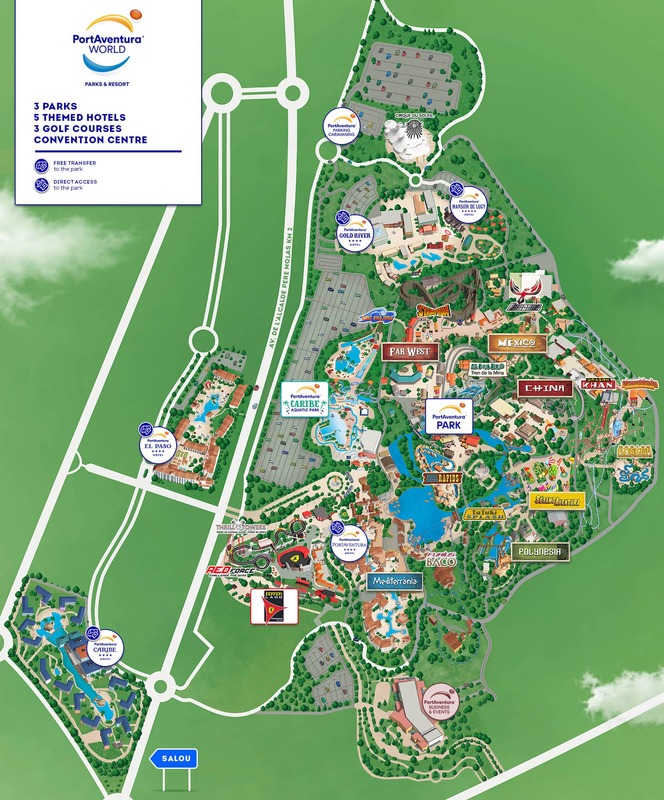 The weekend starts on Friday at PortAventura Hotels: on Fridays in November and December*, Ferrari Land will be open from 6 pm to 11 pm so that you can get the most out of your stay. 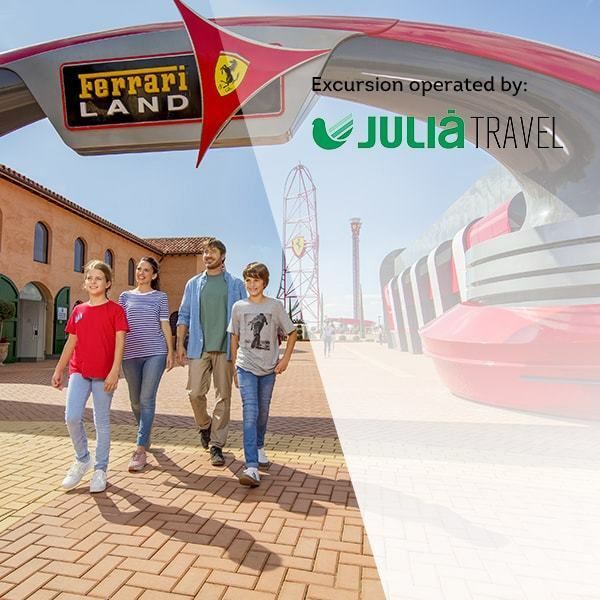 If your stay in one of our hotels includes a Friday night, you can enjoy 2 EXCLUSIVE admissions to Ferrari Land (access to the Italian Night on Friday and one day in Ferrari Land per person and stay included). At Christmas, a wonderful festive atmosphere fills PortAventura along with coloured lights, giant gifts and incredible surprises. Thousands of ornaments adorn every nook and cranny and bestow the unmistakable spirit of Christmas upon PortAventura. The characters and dancers of PortAventura World meet up with Santa Claus and take a trip around the park to the rhythm of beautiful Christmas songs created for the occasion. Every night the Royal Emissaries arrive at Mediterrània lake, following the star that guides them on their way from the East. Enjoy amazing Christmas shows filled with magic, dancing and music! Don’t miss out! 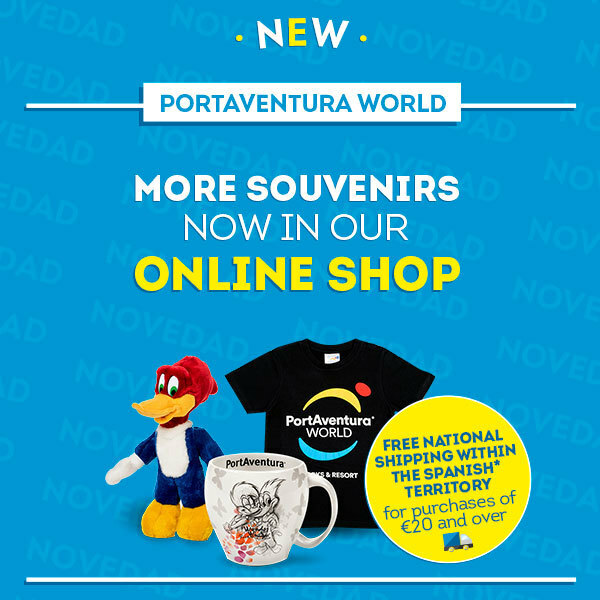 Only available during PortAventura World’s Christmas season. Make your Christmas a truly unique experience, by staying in one of our 4 or 5-star themed hotels. Choose your favourite! 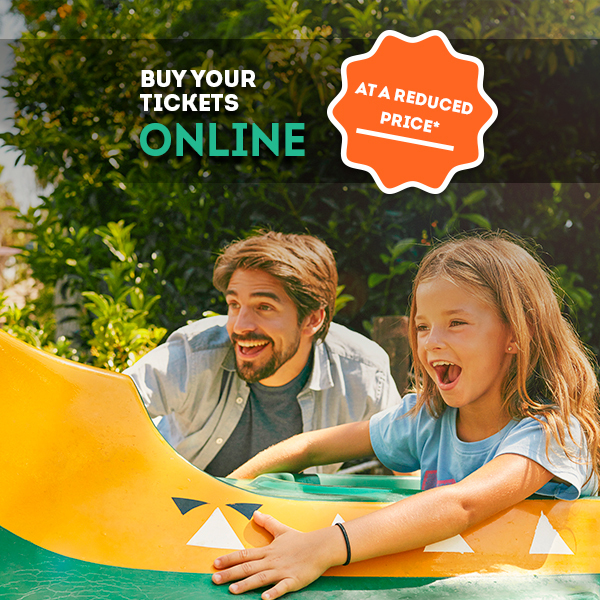 Book your getaway at one of our hotels with discounts of up to 50% and celebrate a very special Christmas at PortAventura World, from 24 November to 6 January 2019! *09/11/2018, 16/11/2018, 23/11/2018, 30/11/2018, 05/12/2018, 14/12/2018 and 21/12/2018. 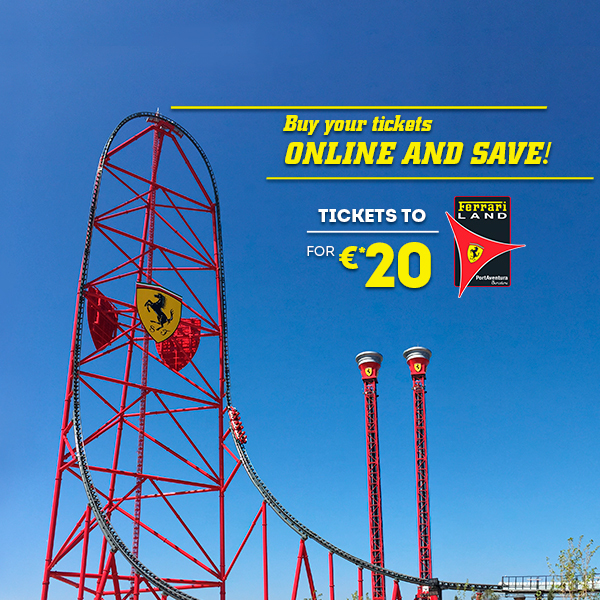 1-day admission to Ferrari Land’s Italian Night for guests staying on a Friday night*.